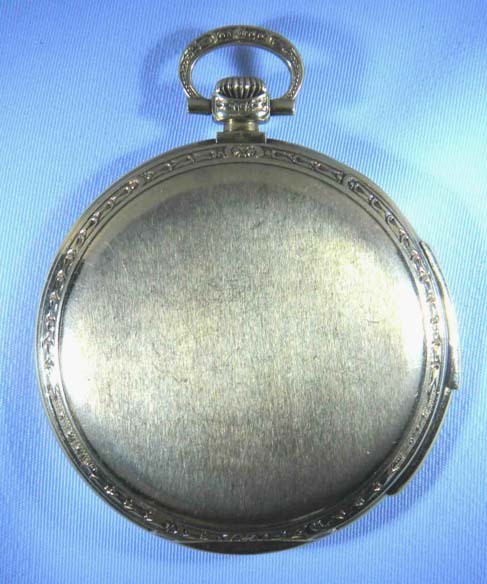 Fine slim Touchon Art Deco 18K gold minute repeater antique dress pocket watch circa 1920. 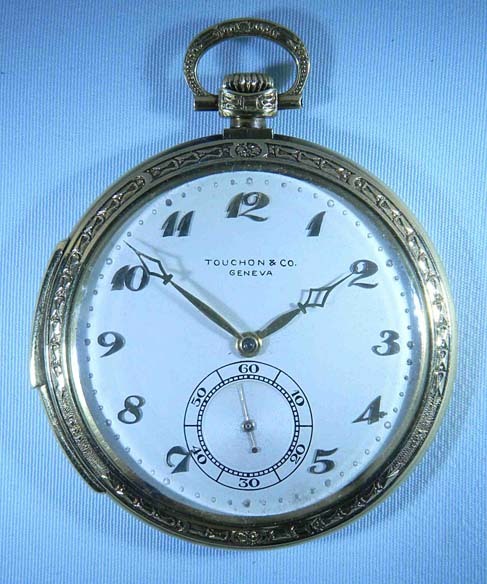 Original silver dial with applied gold numbers and gold hands. The case with decorated cast bezels, pendant and bow, satin finish back, and repeat slide in the band. 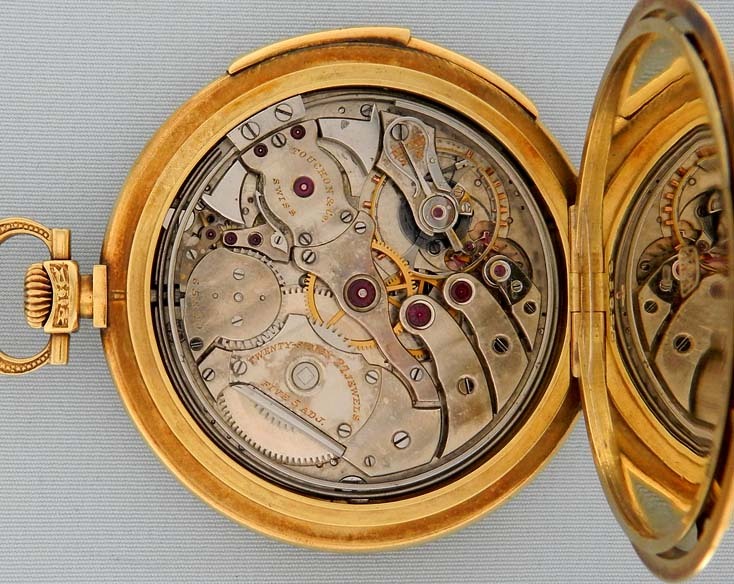 Fine nickel 27 jewel movement with precision regulator, jeweled to the center and the hammers. Handsome example.